Want to make something happen? Follow these three steps. A virtual (and complimentary) workshop with Allegra Stein. Join Special Guest Alex Baisley for a conversation to help you find your next big thing. 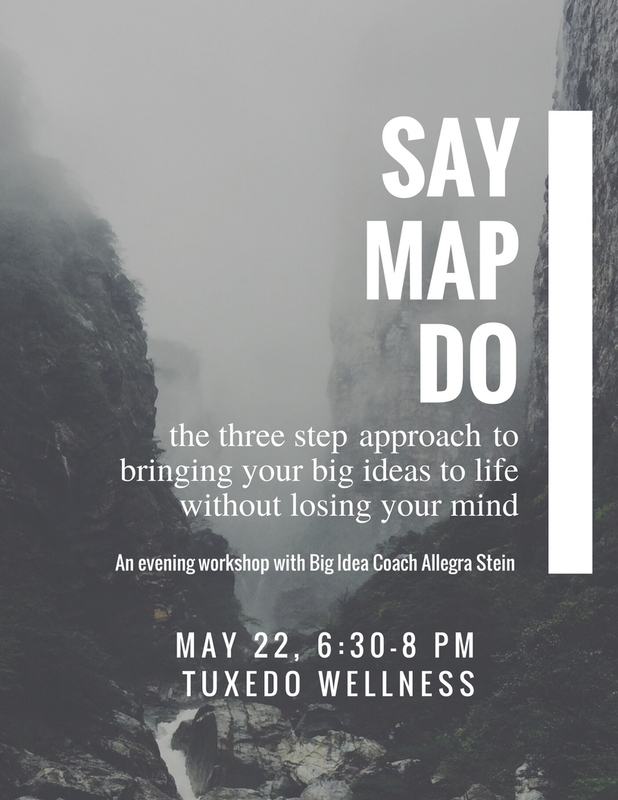 Join Thought and Action Coach Allegra Stein for her monthly foundational class where you’ll learn the three ground rules of bringing big ideas to life without losing your mind: Upshifting, Recentering, and MicroAction. A Stop Time Experience. Fresh Air: Fresh Thinking. Click here for details. Come on over to my FB page for my first FB Live series where I'll be hopping on daily to share Thought and Action tools from my Coaching Apothecary. Settle down, get quiet, and break through stuckness so you can start getting the stuff done that you want to get done without losing your mind in the process. A Stop Time Experience. Fresh Spaces, Fresh Thinking. Click here for details. Fresh Air. Fresh Thinking == your best business planning time. A Mini Retreat on a Monday to get your week started. You don't need another Business Strategy Meeting --- you simply need some time and space to clear your mind and tap in to Fresh Thinking. Let's meet at the Ananda Ashram for a yoga class and an Ayruvedic lunch to follow. As hard as it will feel to step away from your to-do list for a couple of hours, I assure you that it is a gift to yourSELF that will pay off in renewed vigor, energy, and vitality that you can bring back into your work. This is a 90 minutes class (beg/int) class starting at 11 - $15 drop in fee or you can purchase a multi-class card there. Lunch will follow at the Ashram for a donation of $10. Consider the possibility that you don't need another business development meeting - you just need a little break. Join Coach Allegra Stein and other amazing women in business for a midday stroll across the Hudson where you are welcome to NOT talk or think about work for a bit. Trust, in fact, that it's a break from your regular thinking that will create your next breakthrough. Fresh Food. Fresh Thinking. Click here for details and tickets. 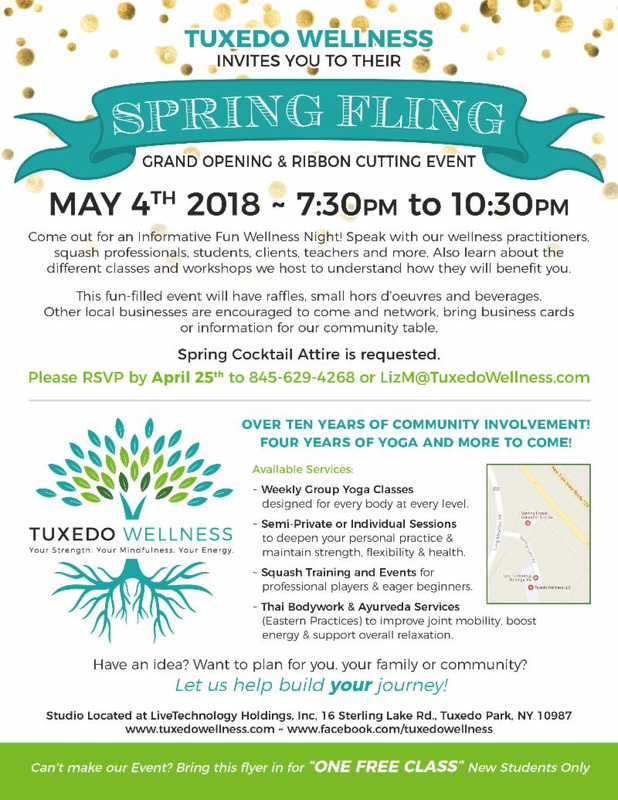 This meetup is like a mini-retreat in the middle of your day - as hard as it will feel to step away from your to-do list for a couple of hours, I assure you that it is a gift to yourSELF that will pay off in renewed vigor, energy, and vitality that you can bring back into your work. Coach and Hike is BACK! Let's enjoy the fall weather and get outside to move our bodies and quiet our minds. Take this chunk of time for yourself to strengthen your foundation and get re-centered. Bring water, snacks, friendly dogs, and whatever is on your mind.